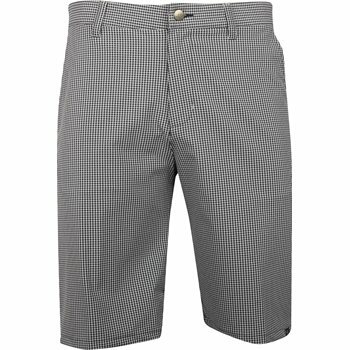 The adidas Ultimate 365 Gingham Short is made for your comfort and style with a stretch waistband and silicone gripper to keep shirts tucked in. Water-resistant finish for easy care and durability. adidas logo above back right pocket. Moisture-wicking stretch fabric for range of motion. Snag-free micromesh pocket bags for breathability.